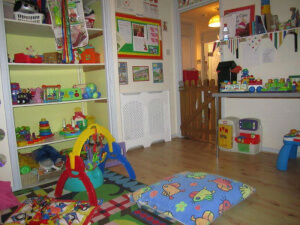 Our small, friendly nursery offers a welcoming, home-from-home environment. 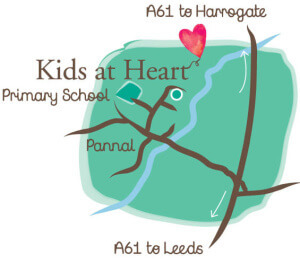 We are situated within the grounds of Pannal CP School and provide a peaceful, rural setting on the outskirts of Harrogate. 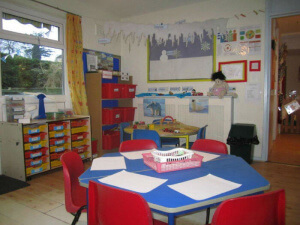 We provide a cosy setting with space for 15 children over three stages from babies through to pre-school children. Each stage offers your child well-equipped facilities to encourage enjoyable experiences and challenges, both indoors and out. Inside the rooms are modern, light and airy. The baby room is designed around sensory exploration, learning and discovery along with separate sleep room and changing area which enables carers to follow parents’ routines as closely as possible. 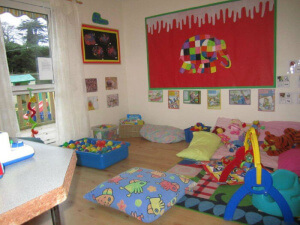 As children grow through the nursery they move into the play room with lots of space for imaginative, constructive and musical play. 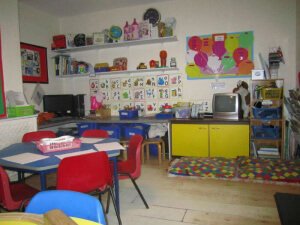 and then finally into the pre-school classroom. 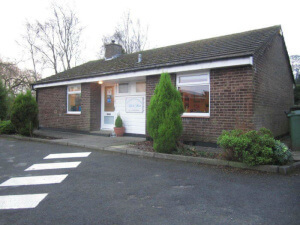 We have good links with the Children’s Centre, Busy Bees Pre-School and Pannal Primary School, and provide opportunities to prepare them for smooth transition to school reception. Our on-site chef provides healthy, nutritious, freshly prepared meals for all children, including babies and we can cater for special diets where necessary. Our learning through play curriculum fuels independent thinking in a safe learning environment. We also encourage respect for others through the value of taking turns, sharing, being part of a group and caring for each other. We ensure that every child has the one-to-one care and attention they need with low child:staff ratios plus making sure that you know exactly what your child has done throughout the day. There are also rich learning opportunities in the garden which has different areas of grass, paving and messy play sections. Your child can access these each day as they are supported to take risks and explore in challenging, playful opportunities. Alternatively, they can also enjoy the tranquillity as they sit outside and look at books or dig in our vegetable plot. And the Kids at Heart people carrier allows us to explore even further afield when we need to. You can download our current prospectus or application form here, or please contact us if you would like to arrange a visit.